Why a 'no-disruption' FTTN could cause more disruptions than FTTP - jxeeno blog. Well, there it is — loud and clear. "Disruption at user premises? No". So, as part of my submission to the Select Senate Committee on the National Broadband Network — I've outlined the limitations of this claim and why it could cause potentially more disruption than a FTTP rollout. The whole issue revolves around filters. 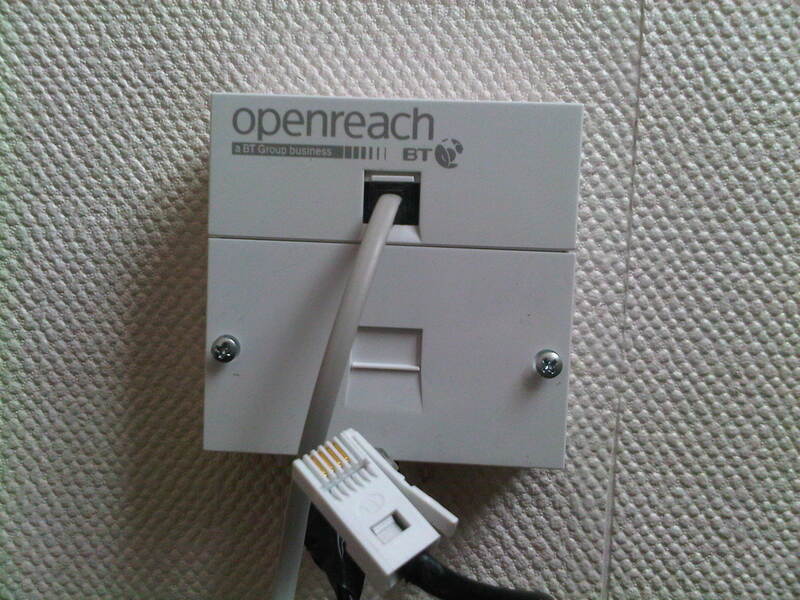 Central line filters are required to be installed by qualified technicians on the end user premises if the end user wishes to have PSTN co-exist with their VDSL connection. This is what’s currently being trailed by NBN Co in their Fibre to the Building pilot deployment where NBN Co contractors are required to enter into the end user’s premises to install a new wall plate and line filter. If NBN Co opts for a no-disruption, self-install model for their mass deployment as suggested by the Coalition’s NBN Proposal prior to coming into government – no POTS service can co-exist with the VDSL connection in order to avoid installing a central line filter. This means that their POTS line will need to be terminated at the time of NBN connection to avoid interference of the phone line with the VDSL service. Consequently, there would be a disruption in the end user’s phone service. The service provider would need to port their existing PSTN phone number to a VOIP service, a process that currently takes several business days to complete. The provider will also need to provide an ATA (analogue telephone adaptor) or a VOIP phone to the end user to receive the new service. The provider will also need to provide the new CPE (VDSL2+ modem) for the end user to obtain the Internet and phone service. Possible issue: Porting issues, as detailed below. Possible issue: Existing phone services within the end user's premises will no longer function. The end user will need to be made clear of this. A rewiring (at the expense of end users) of internal phone lines will also need to be coordinated to ensure existing line-based devices such as wired headsets, medical and security alarms will continue to function. In contrast to an FTTP rollout, end users are given an 18 month window to adapt and migrate services over to VOIP to test for faults or issues. Possible issue: Existing fixed line services are disrupted until VDSL is provisioned and the end user connects and configures new equipment. In contrast to an FTTP rollout, end users are given an 18 month window to adapt and migrate services over to the NBN to test for faults or issues. Possible issue: This process favours Telstra as the preferred service provider due to the current process for porting. Telstra, who services the majority of Australian fixed-line telephone services, will not be required to undergo the same porting procedures as competing service providers. End users can then set up their VOIP service once their number is ported. As stated above, this process highly favours Telstra as the preferred service provider eliminating the complications of telephone service porting. Customers may potentially be forced to purchase an expensive Vectored VDSL2+ compatible modem, endure service disruption during porting, install an unused Internet connection for the purposes of delivering a phone line service only. If NBN Co elects to continue to jumper or pass through POTS service to end users who do not wish to have an internet connection, Telstra will continue to be the primary provider of voice services. This will advantage Telstra and will hamper the rollout of Vectored VDSL due to incompatibility. There are many potential issues that may cause the deployment of a “no-disruption” FTTN service to be of more disruption than a new infrastructure rollout such as FTTP. There is severe disadvantage to customers who do not wish to obtain an Internet service. Still "no disruption at user premises"? — I doubt it. A "no-disruption" FTTN model will be one heck of a challenge to implement — if at all possible. I'm sure if it goes ahead, there will be complaints by end users left, right and centre.